ESET researchers have discovered a new malware campaign misusing stolen digital certificates. We spotted this malware campaign when our systems marked several files as suspicious. Interestingly, the flagged files were digitally signed using a valid D-Link Corporation code-signing certificate. 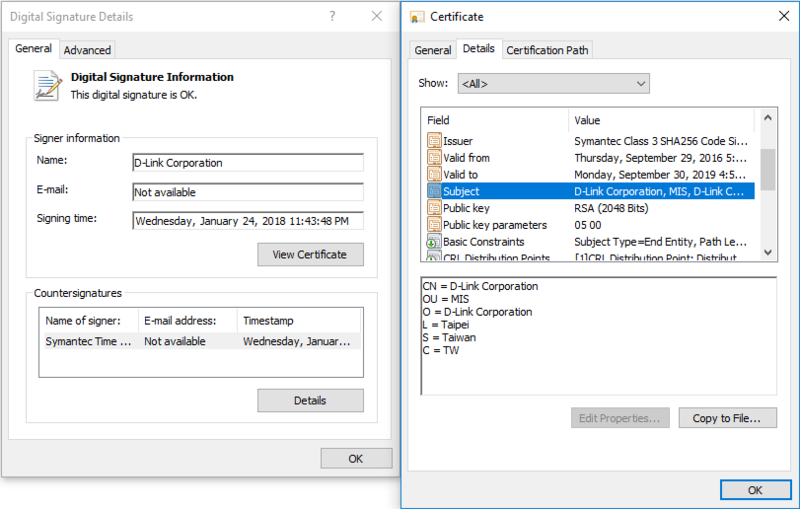 The exact same certificate had been used to sign non-malicious D-Link software; therefore, the certificate was likely stolen. Having confirmed the file’s malicious nature, we notified D-Link, who launched their own investigation into the matter. As a result, the compromised digital certificate was revoked by D-Link on July 3, 2018. Our analysis identified two different malware families that were misusing the stolen certificate – the Plead malware, a remotely controlled backdoor, and a related password stealer component. 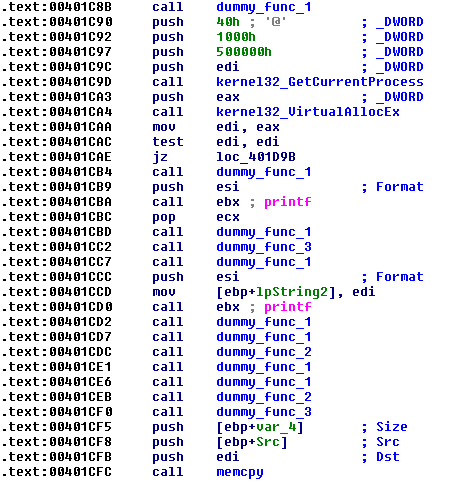 Recently, the JPCERT published a thorough analysis of the Plead backdoor, which, according to Trend Micro, is used by the cyberespionage group BlackTech. 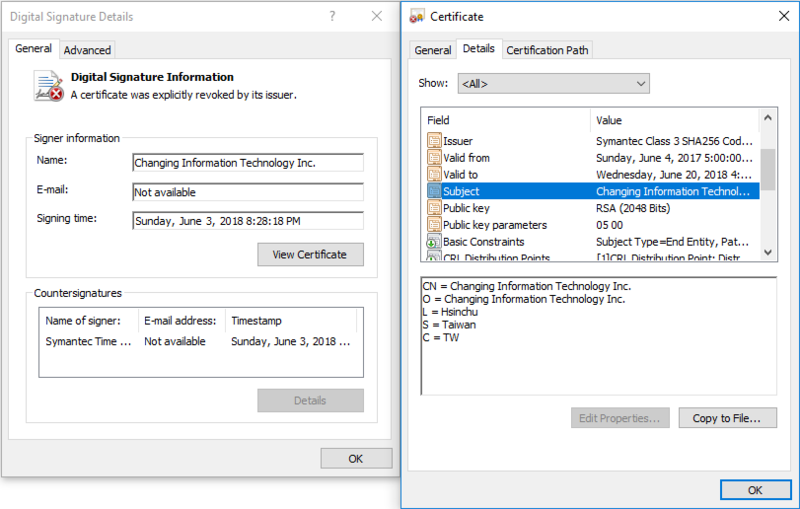 Along with the Plead samples signed with the D-Link certificate, ESET researchers have also identified samples signed using a certificate belonging to a Taiwanese security company named Changing Information Technology Inc. Despite the fact that the Changing Information Technology Inc. certificate was revoked on July ‎4, ‎2017, the BlackTech group is still using it to sign their malicious tools. The ability to compromise several Taiwan-based technology companies and reuse their code-signing certificates in future attacks shows that this group is highly skilled and focused on that region. The signed Plead malware samples are highly obfuscated with junk code, but the purpose of the malware is similar in all samples: it downloads from a remote server or opens from the local disk a small encrypted binary blob. This binary blob contains encrypted shellcode, which downloads the final Plead backdoor module. Misusing digital certificates is one of the many ways cybercriminals try to mask their malicious intentions – as the stolen certificates let malware appear like legitimate applications, the malware has a greater chance of sneaking past security measures without raising suspicion. Probably the most infamous malware known to have used several stolen digital certificates is the Stuxnet worm, discovered in 2010 and the malware behind the very first cyberattack to target critical infrastructure. Stuxnet used digital certificates stolen from RealTek and one from JMicron, two well-known technology companies based in Taiwan. However, the tactic is not exclusive to high-profile incidents like Stuxnet, as evidenced by this recent discovery.